Original raku picture by Iris Davies. 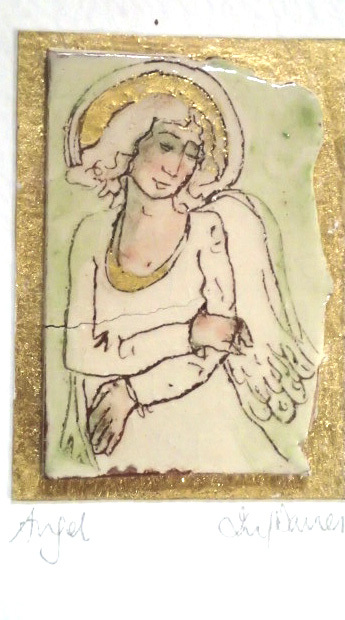 The raku tablet is mounted on watercolour textured card and supplied with envelope. Very easy present to post! Signed by the artist & ready to be framed. Image size 53mm W 75mm H £22 + delivery.